Dr. Zacco will extensively evaluate your thyroid hormone function and antibodies. 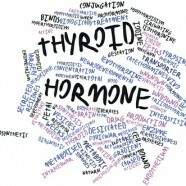 The supporting thyroid hormone nutrients will also be measured; Iodine, Selenium, Zinc, etc.. Sub-optimal thyroid function can produce symptoms, such as; fatigue, low libido, ED (erectile dysfunction), decreased motivation, decreased mood, and weight gain, just to name a few. It is important to maintain optimal function of your Thyroid. In order for your thyroid to function optimally, the iodine and other nutrients must be sufficiently present. Sadly these nutrients are not routinely checked. At Anti Aging & Functional Medicine, these nutrients are routinely checked along with your thyroid function. For those who have thyroid antibodies, we make sure the GI tract is optimized and Leaky Gut is addressed if present. The human thyroid produces both T3 (Active form) and T4 (inactive form). Most cells of the body can convert T4 to T3 making available the active form of thyroid. However, some people with Hypothyroidism are not good at converting T4 to T3 and thus report that they feel much better taking T3. Interestingly normally the pig thyroid produces a much higher ratio of T3/T4. Dessicated pig thyroid (Armour) has been available for many years and sometimes people with Hypothyroidism feel better taking this higher ratio of T3/T4 compared to the usual human ratio. Usually, traditional medicine doesn’t provide T3 and often overlooks or never address nutrients needed for proper function. We routinely do so. When the patient has thyroid antibodies that can detrimentally affect the proper function; these antibodies many times originate in the gut especially when Leaky Gut Syndrome is present. Therefore, we feel it is helpful to optimize the gut. At Anti Aging & Functional Medicine, we can check for 38 different nutrients to evaluate nutritional support.